Yesterday we told you about an upcoming Tegra-specific game from Playbox called Bang Bang Racing. Today, we have a real treat for you - a sneak peak at three more upcoming games for Tegra devices that are sure to blow your mind (no less!). The three titles in question are Riptide GP, a port of the popular aquatic racing game Hydro Thunder Hurricane; Galaxy on Fire 2, a space-based action RPG; and Pinball HD, a high-definition twist on an arcade classic. When I was a child, I loved the arcade game Hydro Thunder, and when it finally came out for consoles, I was elated. Overtime, I mastered every level, learned the quirks of every boat, found the shortcuts, and dominated the aquatic raceway. Many years have passed since then, and I was overjoyed to see this title brought back to life in the XBOX Live Arcade with the sequel Hydro Thunder Hurricane. 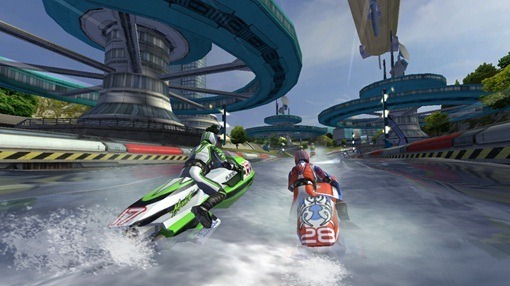 Now, I'm equally as excited to tell you that this insanely awesome flooded-Earth racing game is being ported to Tegra based devices (as if I needed any more of a reason to buy one) under the moniker Riptide GP. If you've ever played the original, then you know how awesome this game really is, and the Tegra port is going to be phenomenal. 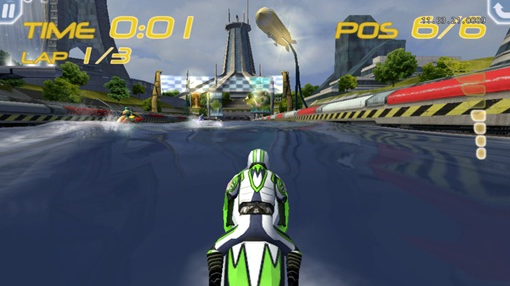 If you have never played anything from the Hydro Thunder series, here's the breakdown for Riptide GP: you're a fearless jet-ski riding maniac dead set on winning every race. You're faced with tight curves, massive jumps, narrow canals - you get the idea. Sounds like a typical racing game though, right? You may think that until you actually see it - the environment is amazing. Think of it as motocross on steroids... on water. Thanks to the incredible power of the NVIDIA Tegra 2 processor, the water rendering effects are calculated in real-time, using the second core exclusively for this duty. Since the environment is always changing and never shifts in the same direction, this makes every single race play out differently - how's that for realism? 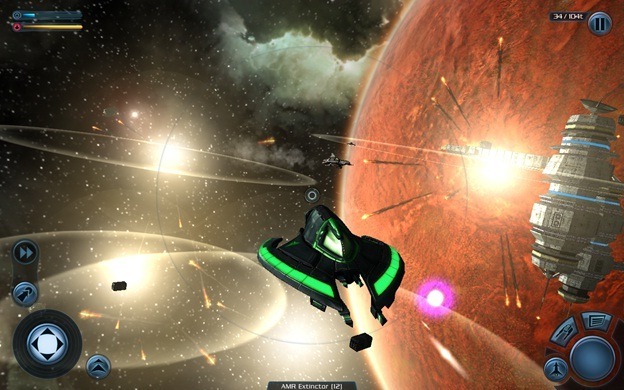 This game is set to hit the Market sometime in mid May (the week of 5/16/11) and will be featured in the Tegra Zone. 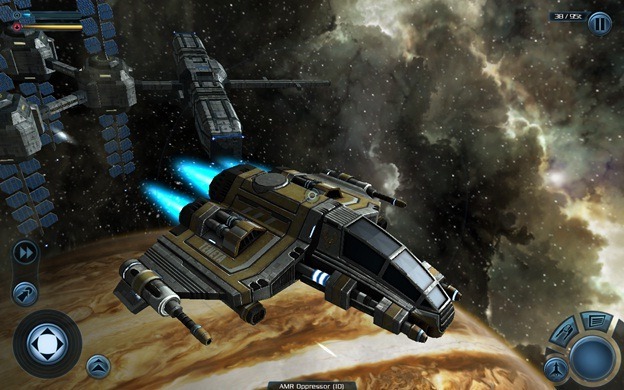 Some of you may already be familiar with this game since it has been ported to Android (Xperia Play only) from iOS, but now the developer, Fishlabs, has joined forced with NVIDIA to give it an overhaul specifically for Tegra devices. Sounds awesome, right? I thought so too. 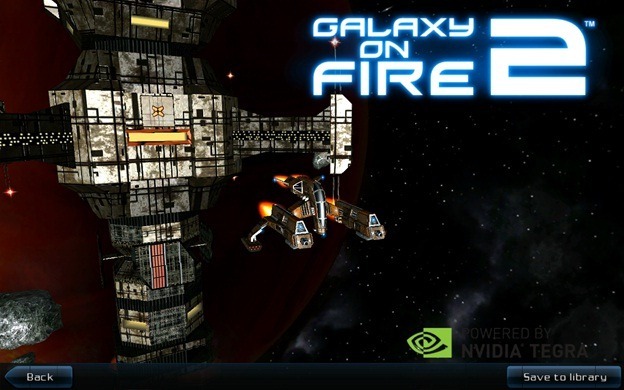 This upcoming HD version of Galaxy on Fire 2 will take gameplay to a whole new level as it will be able to really utilize the power of the Tegra 2. You can expect to see graphically enhanced maps since it will be using OpenGL ES 2.0. This has enabled the dev team to enhance textures and character details by four times the current amount. There's no word yet on when this one is hitting the market, but we expect it will be sometime in the coming weeks. 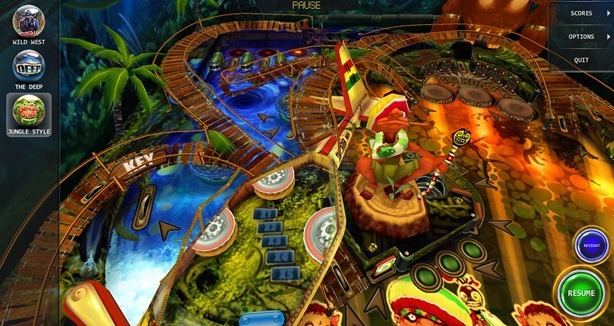 Finishing up this mini-roundup of upcoming Tegra games is one that everyone loves - pinball. Pinball HD comes to us from game developers Gameprom, who are prominent in the iTunes Appstore, but only have one Android title on their website (listed as "coming soon"). 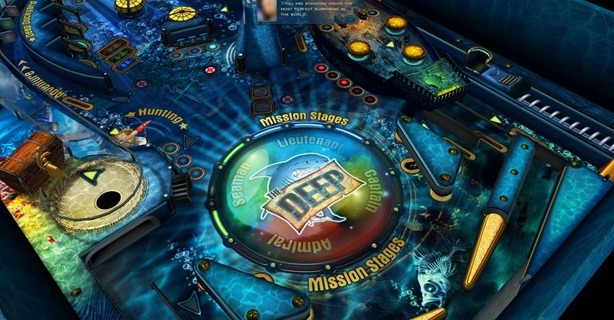 Pinball HD is not your Grandfather's, or even your Dad's, pinball. It takes a classic arcade favorite and puts an HD, graphically rich twist on things - offering compelling gameplay and realistic environments, it utilizes real pinball physics so it should feel like playing on a traditional pinball machine. 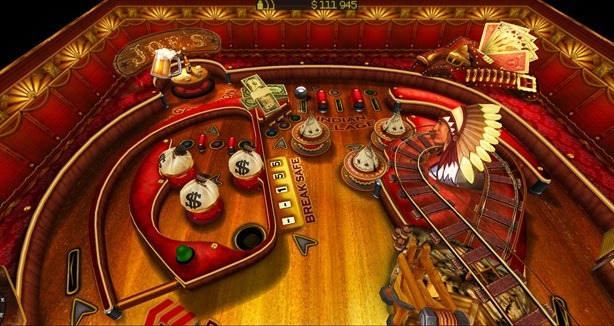 The game features mission-based gameplay with three beautiful table designs - the "Wild West" table, the "Deep" table, and the "Jungle Style" table (shown below, respectively). Collectively, they offer rich environments true to the name of each table - offering everything from bank robberies in the "Wild West", to underwater game play in the "Deep", and graphical beauty and amazing textures in the "Jungle". There's no word when Pinball HD should be expected to hit the market, but here's to hoping that it gets here quickly. Thanks to rich graphics and dual core power, the Tegra 2 has allowed Android tablets (and superphones) to become not only productivity devices, but mainstream gaming devices as well. 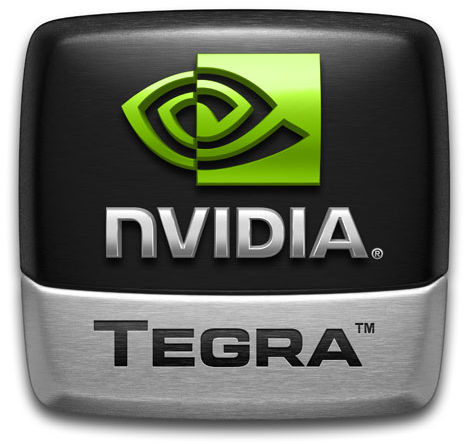 If you've been thinking about picking up a Tegra based device, I can't think of a better time to do so, especially now that cheaper Tegra devices are entering the market. All three of these titles will be featured in the Tegra Zone - NVIDIA's app to showcase all of the new, upcoming, and hot games specifically designed for Tegra devices.